Should Drinking Alcohol in Mexico be a Concern? Most everyone has seen reports over the past week or so of tainted alcohol being served in Mexico at all-inclusive resorts. It is tragic when things like this occur, and doubly tragic when they occur when people are vacationing! While the idea of this is certainly disturbing these sorts of things can happen anywhere at any time around the world, and even in the US (although rare and most likely not recently this link shares a horrible story of such a event). A quick google search will turn up well documented cases recently in India, Pakistan and Russia as well, but I’m sure it happens with some frequency across the globe and often is unreported or less publicized. Of course it should be completely unacceptable for (A) people to illegally brew alcohol for resale and (B) for someone (or company) to purchase illegal alcohol to serve to guests, but human nature sometimes shows that greed trumps common sense and some people are willing to put others at risk in order to put a few $$ in their pocket. 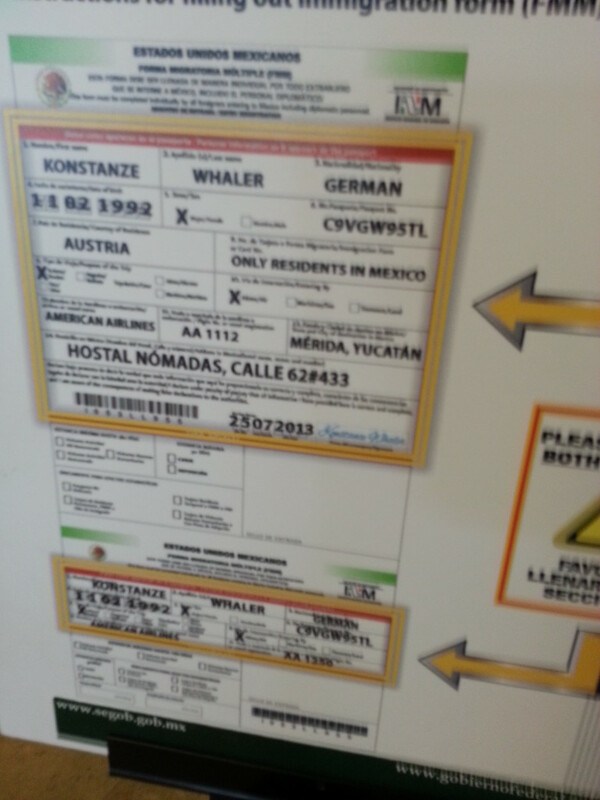 The question I am getting is this – “Is it safe to go to Mexico? Is it safe to drink alcohol there?” How do I answer that? Of course it’s not safe to drink alcohol in excess anywhere in the world (even in your backyard), but the real question is how wide spread is the problem? Of course I have no way of knowing the truth behind how some apparently tainted alcohol was served at an all-inclusive resort (or perhaps several resorts) but I have a feeling based on traveling to many, many Mexican resorts many times for several years – as well as having hundreds of clients travel there as some of the 10,000,000 Americans that travel to Mexico each year (approx 5 Million to Cancun area). What is my feeling? That some greedy people allowed profit to come before safety. That behavior is not uncommon anywhere in the world. I am confident that the hoteliers in the tourist areas will be taking extreme measures to insure that this never occurs at their resort in the future – below is a statement from AMResorts, and very popular and well respected organization that delivers a terrific experience. Obviously they are taking things seriously! 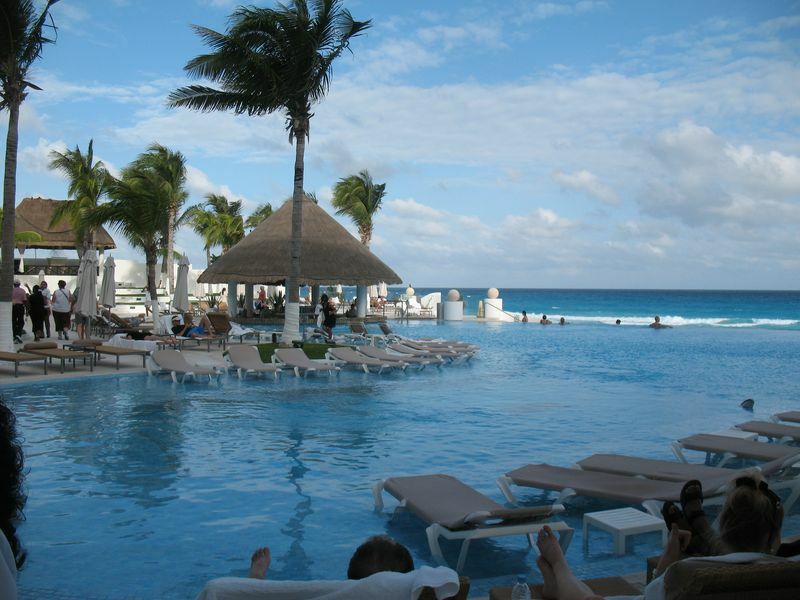 We understand that there are growing concerns surrounding travel to Mexico in light of the recent media reports alleging tainted alcohol at all-inclusive resorts across the country. 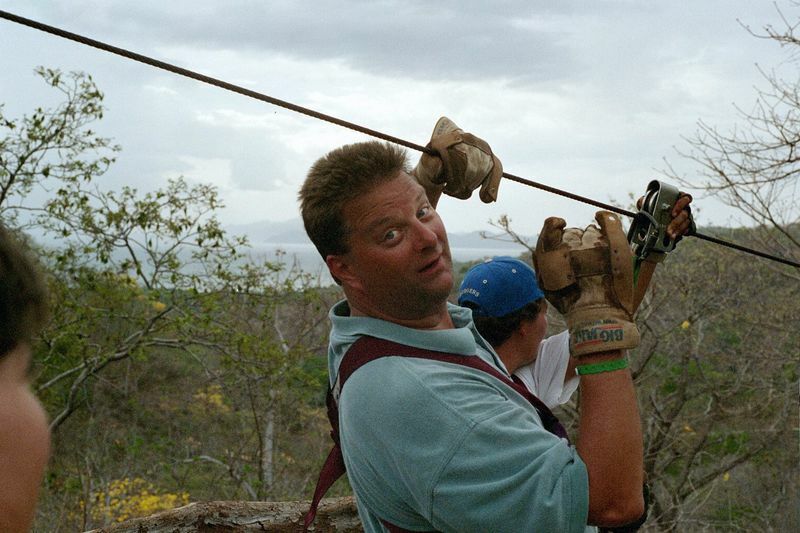 Please rest assured that the health and safety of our guests and staff is always our top priority, and we strive to deliver exceptional vacation experiences. We remain committed to upholding the highest standards of excellence in hospitality and delivering outstanding service to each and every guest. 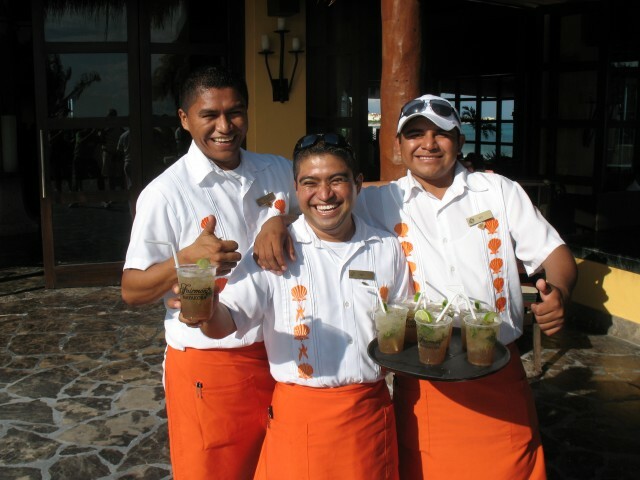 In fact, our resorts welcome thousands of visitors a year and proudly celebrate a high repeat guest ratio. We attribute our resort’s strong track record for guest satisfaction to our strict guidelines and standards, and our trained staff’s commitment to superior quality and service. Strict policies and procedures are in place to safeguard all food and beverage products, including alcohol, as well as to ensure the health and well-being of guests. As part of our hotels’Endless Privileges®, Unlimited-Luxury® and Unlimited-Fun® offerings, we only serve premium brand domestic and international top-shelf spirits from leading and certified suppliers. We have complete confidence in the strict procedures and protocols we have in place, and the professionalism and attentiveness of our staff. We look forward to continuing to welcome thousands of guests who consistently visit our resorts in Mexico and other destinations. We aim to deliver nothing less than perfect guest experiences at our resorts. Thank you for your ongoing support during this time and we truly appreciate your partnership. What are the Most Popular Honeymoon Destinations Today? Is the most popular choice the right choice for YOU? With so many choices for Honeymoons these days, how do you know what is the right choice for you? 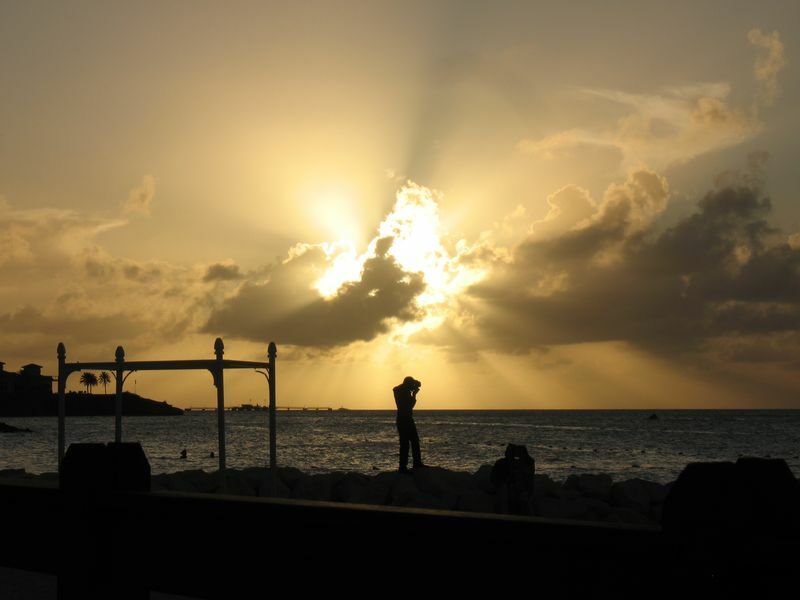 is it about the perfect sunset photo shoot on the perfect beach? Caribbean? – Hawaii? – Mexico? – Florida? – South Pacific? – Europe? How does budget play into it? 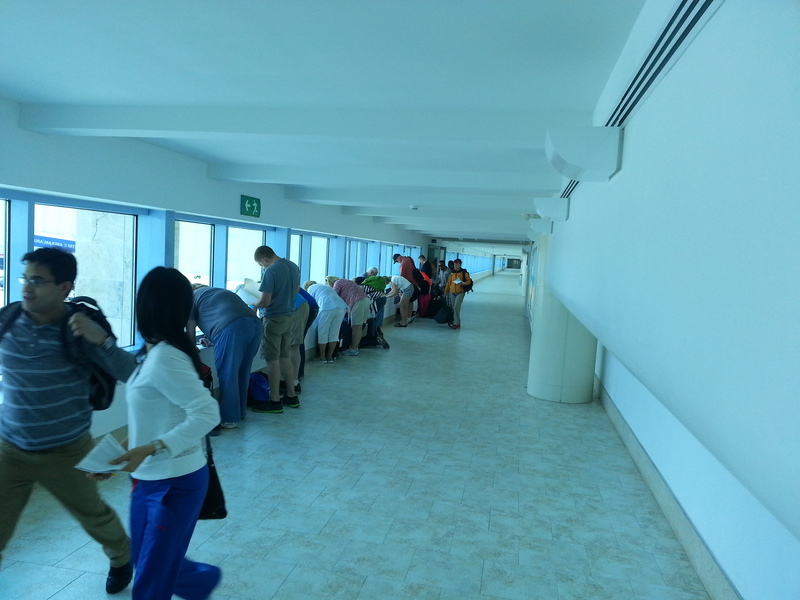 Resort – Tour or Cruise? EZTravelPad can help you quickly narrow down your choices to the most suitable, and offer you expert advice as to what else you should be thinking about – after all, an expert knows more- right? So what are the most popular choices for Honeymoons these days? 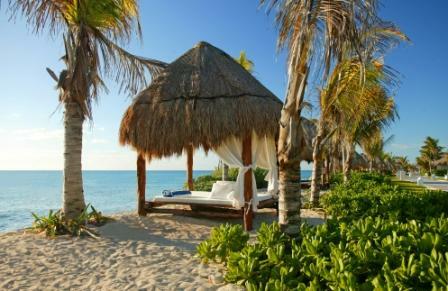 By far – about 80% of EZTravelPad clients choose either Caribbean or Mexico. Many people make their selection based on preconceived ideas about safety – affordability – beauty – status. Obviously safety is a paramount concern. Nothing is more important to EZTravelPad – and all of our travel partners – than your safety! 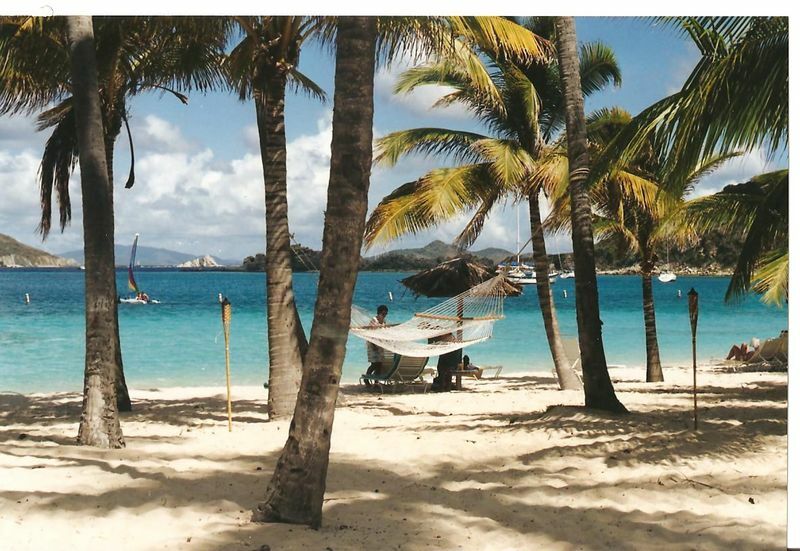 Many people see negative press about Mexico or specific Caribbean islands and rule them out. I am not here to change anyone’s mind – I am here to help you make the best choice possible given your particular wants, needs and desires. I happen to love Mexico, and the value that it presents to the US traveler, so would urge you to consider it – or if not, then it’s a really big world with plenty of other choices! At an all-inclusive resort (and there is a very wide variety ranging from budget to luxury) typically food and beverages plus entertainment and non-motorized water sports are included in the price. Palace Resorts are another great choice. 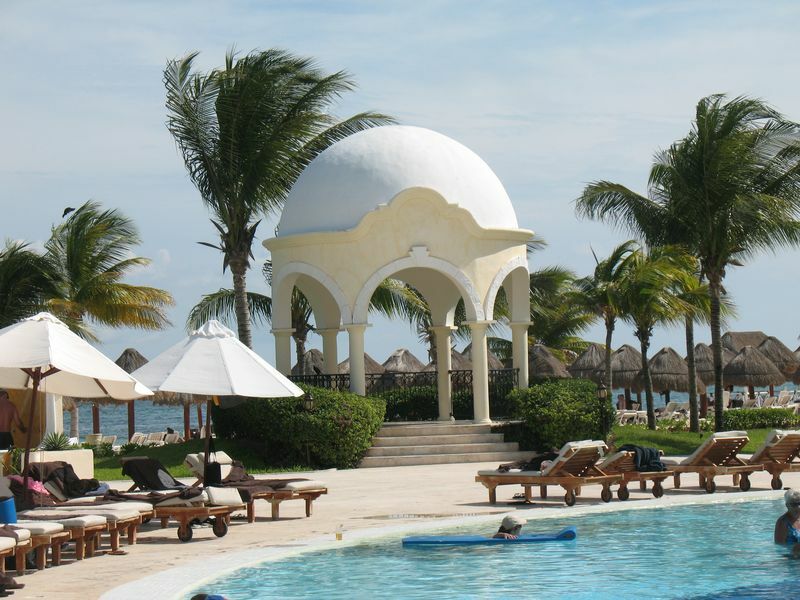 Palace Resorts are located in Dominican Republic and throughout many areas of Mexico. Palace offers $1500 in resort credits that can be used for scuba, tours, spa, romantic dinners, golf & more. This is a great value and allows MAX flexibility & choice! 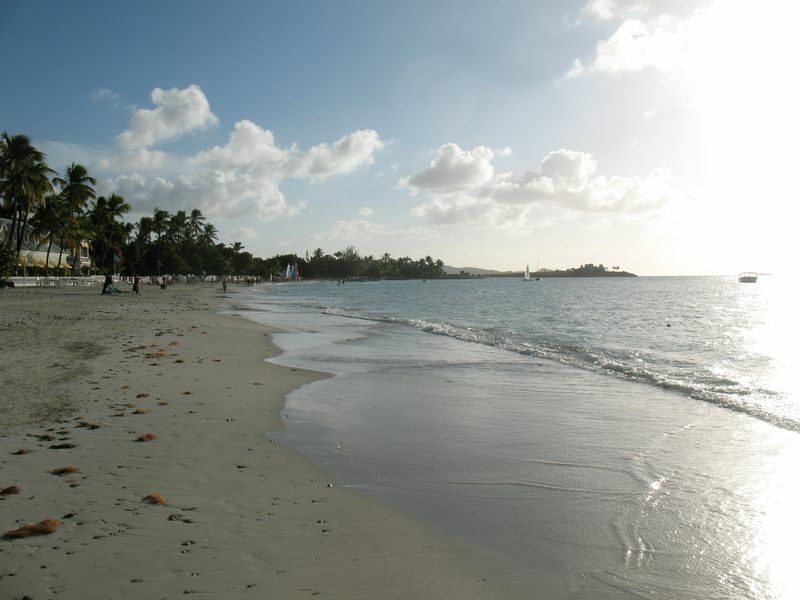 BUT– all-inclusive resorts are not necessarily for everyone. If you are the type that wants to get out and experience the destination to it’s fullest – meet the people – eat the food – live the culture, then an all inclusive resort experience is probably not the best choice. If you are the type who likes fine dining offering tremendous choice and is not afraid to pay for it, then a more “Americanized’ resort may be your best option, and they exist EVERYWHERE. 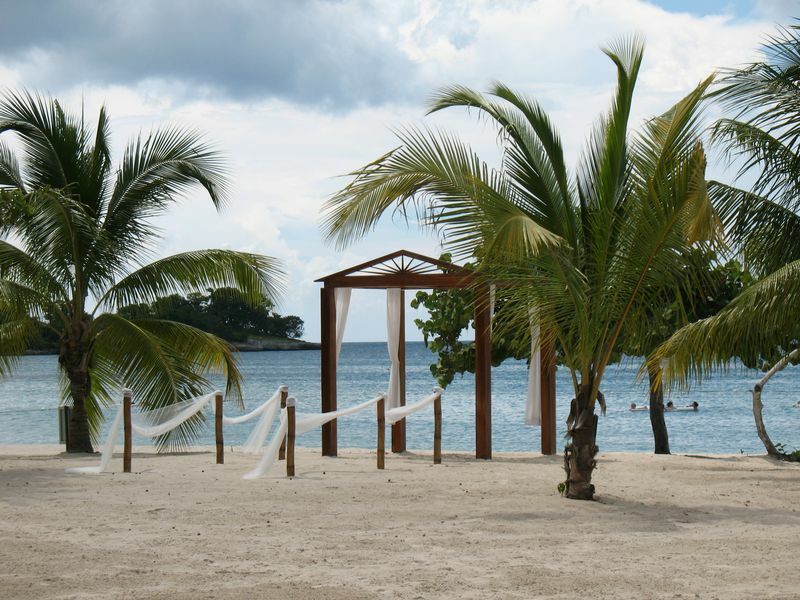 So is your Honeymoon or Destination Wedding all about the beach? How you answer those questions plays a very important role in determining which will be your best choice, and it is very difficult (if not impossible) to make the right choice based on the price and photos you find on the internet. 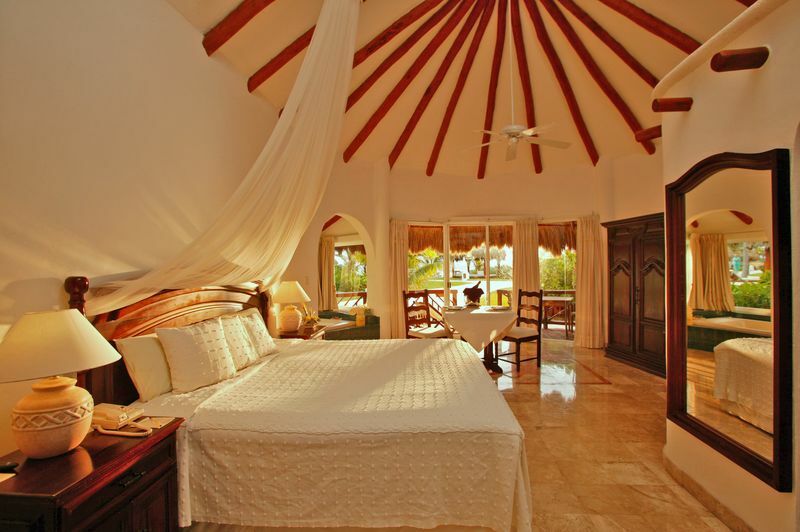 Often times Honeymoon couples want their Honeymoon experience to take place at an adults only resort. 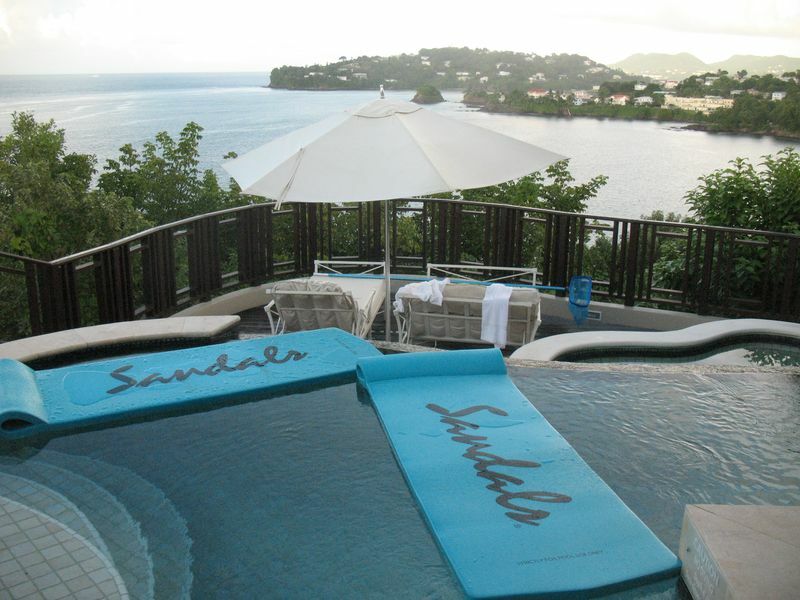 There are great options here, and again, Sandals leaps to mind as they are exclusively for adult couples only. 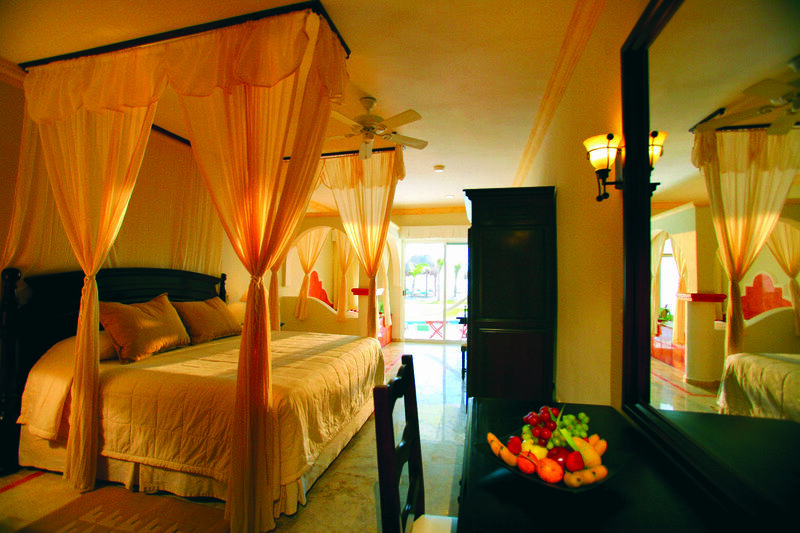 Honeymoon couples make up the majority of guests at a Sandals Resort. Sometimes, particularly if a Destination Wedding involves children, then the adults only aspect is not possible. in that case there are still many, many choices- but I want to suggest that a primary concern at that point should be service – you want your most important vacation to go flawlessly and a more service oriented (and often higher end) resort may be the best choice. How Can You Make The Most Informed Decision? Here is the best advice you will receive- work with a travel professional….especially a travel pro that specializes in Romance Travel. In most cases the cost will be the same as you would achieve doing things yourself on the internet or going directly to the resort/airline/cruiseline….plus you will most certainly experience a higher grade of service and impartial advice to help you make the best choice. Experience can mean many things. Is someone who has worked behind a desk for 20+ years your best source for feedback? Is your cousin, who went to Jamaica on her Honeymoon the best source for info? My belief is that experience is best when it’s broad, and part of that broad base of experience is only achieved by getting out and seeing – getting out and experiencing destinations and resort brands first hand – on the ground. I have personally spent 33 days out of country this year alone- in 5 different countries – 8 different islands – visiting well over 60 different resorts, all in an effort to help my clients make the best choice possible when it comes to THEIR most important vacation. It’s hard work, but it is so rewarding! At EZTravelPad we work with select wholesale vacation packagers – and directly with resorts to insure that you achieve the best possible value AND service. Work with a travel pro that you trust, that knows the destinations, and that understands what it is that you are trying to experience. At EZTravelPad we like to think of ourselves as “Your friends….in the travel business” – so when it’s time to make your plans make the call or send the email – you’ll be glad that you did. 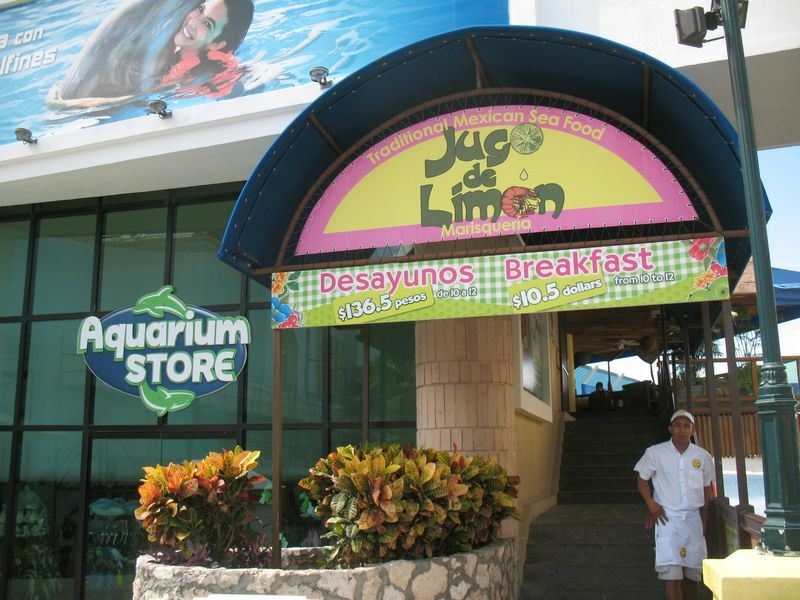 The Juga de Limon is located at the La Isla Shopping Center along the “7” in the hotel zone of Cancun, Mexico. It’s hard to believe that a good breakfast (full breakfast) in such a great location is available for only $10.50..try it – you will not be disappointed. 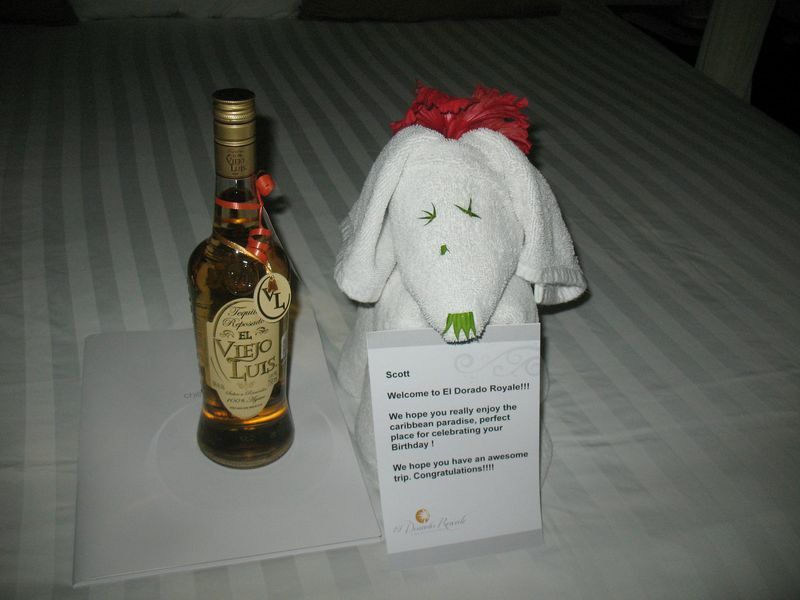 Recently I had occasion to spend a few days with my wife at El Dorado Royale, an adults only all inclusive resort south of Cancun, Mexico along the Mayan Riviera – or Riviera Maya. The verdict? 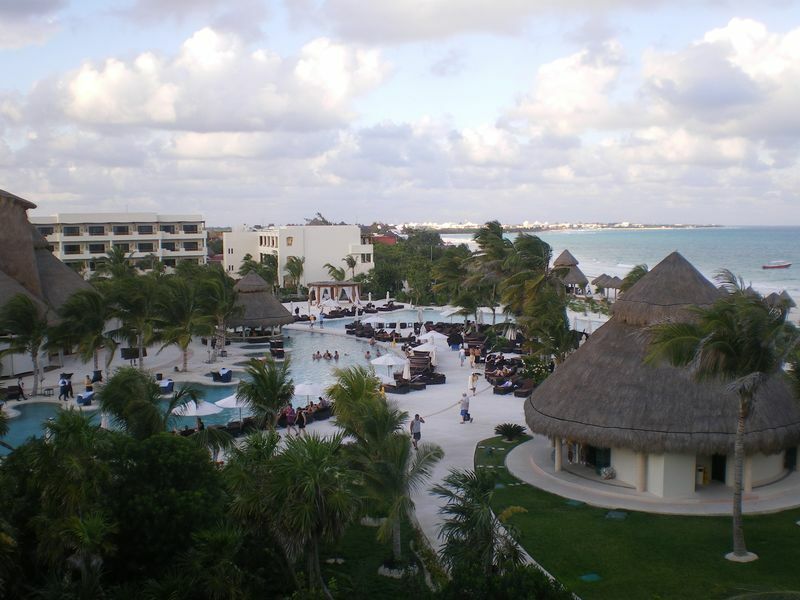 Very good – read on for more of the review……..
El Dorado Royale is conveniently located only about 25 minutes from the international airport in Cancun and is comprised of 2 sections – El Dorado Royale and El Dorado Casitas. 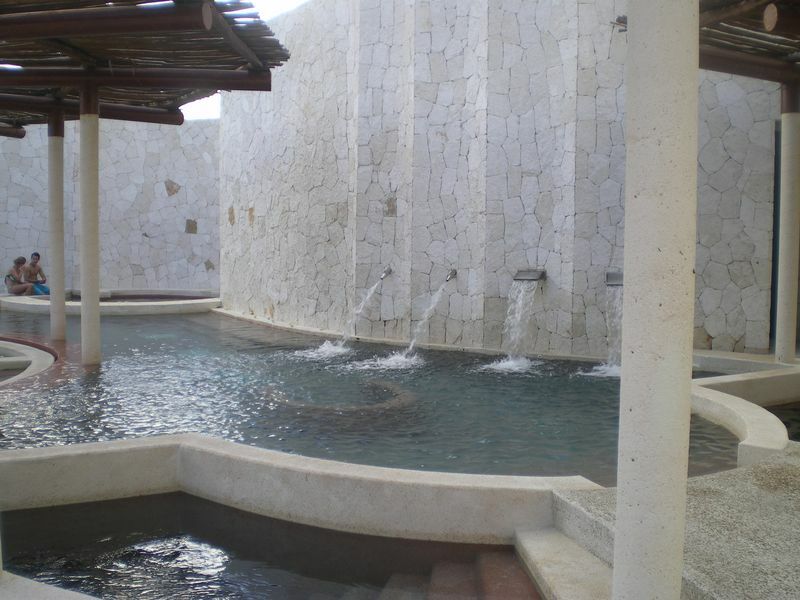 The 171 Casita suites are larger and feature private plunge pools and swim-up pools as well as mostly being located in closer proximity to the beach. Interested in experiencing a luxury suite with an outdoor shower? This may be right for you! 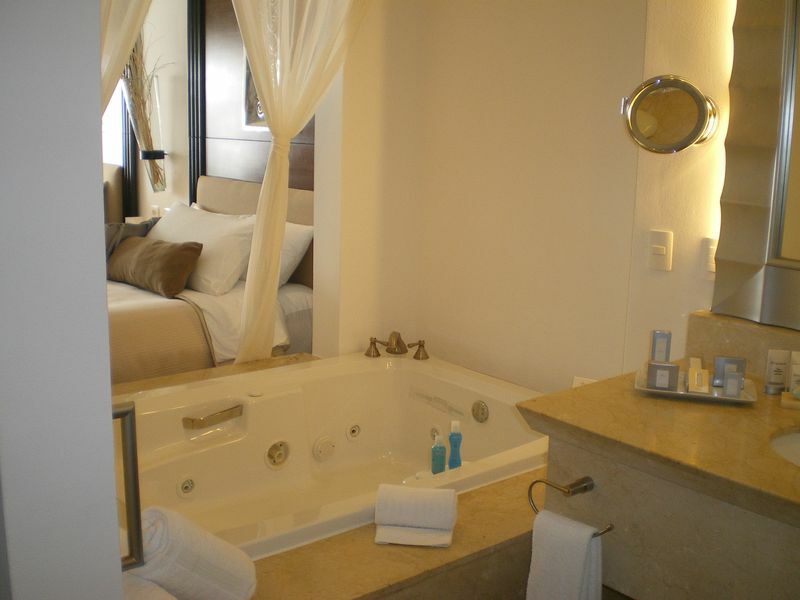 El Dorado Royale features 476 suites that all include 2 person in room jacuzzi tubs. There is no separation between the two resorts in one, all guests are welcome to use the facilities, bars and restaurants in either section. 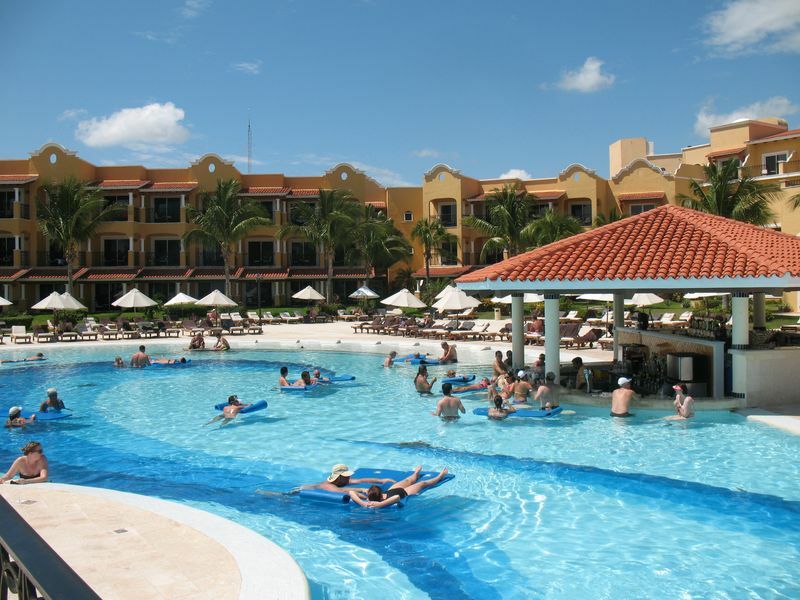 El Dorado is the adults-only brand of Karisma resorts, a resort chain that also includes the family friendly brand – Azul. Karisma Resorts market themselves as “Gourmet Inclusive” meaning that they pay particular attention to the details of both food and beverages offered. With 10 restaurants and 13 bars (10 of them are swim-up bars) you certainly don’t need to go far to satisfy whatever appetite you have – and the quality of the offerings is quite good. In fact, many of the vegetables and herbs served are grown right on the property in a series of greenhouses that offer a plentiful wealth of organic food choices. Locally grown just doesn’t get any more local than this! BTW- I recommend checking out the tequila tastings – I never even knew that there was a tequila that was almost like Bailey’s Irish Cream! With a wide variety of water sports, tennis courts, complimentary bicycles and 13 swimming pools you are certain to find plenty to do – and that doesn’t even mention the activities that are abundant – from water volleyball to water polo and plenty of other diversions, boredom is not an option- but relaxing sure is (had a couple of mid-afternoon naps and loved it). In considering the service, quality, amenities and price I would have to rate this as one of my favorite resort stays. Sure, there were a few hiccups, there always are – but the attention to detail and willingness of the staff to go the extra mile was evident on a daily basis. A couple of the meals and dining experiences were only above average, others were very, very good. So is this the right resort for everyone? Of course not. So how do you know if it’s the right resort for you? Ask your travel professional. If you don’t have one then give EZTravelPad a call – we would love to hear from you and we would love to help! 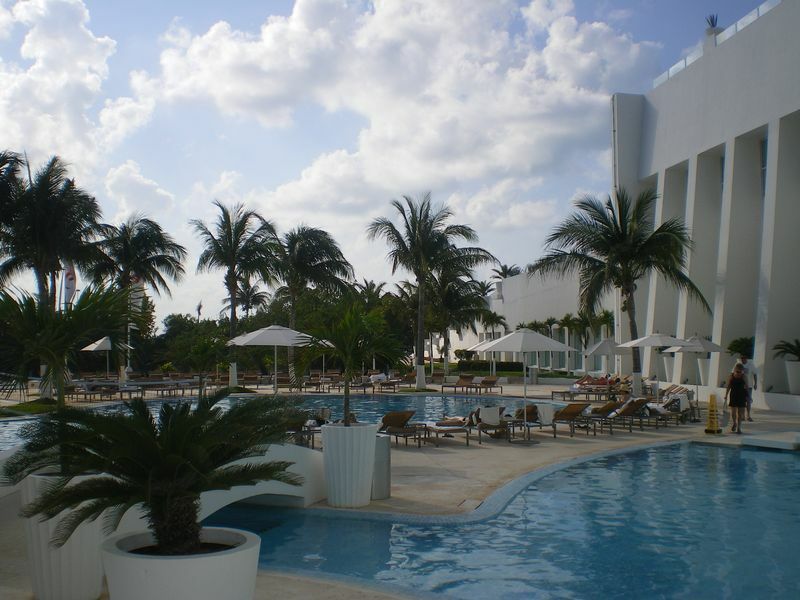 Le Blanc Spa Resort is an adults only all-inclusive resort located in the hotel zone of Cancun, Mexico. 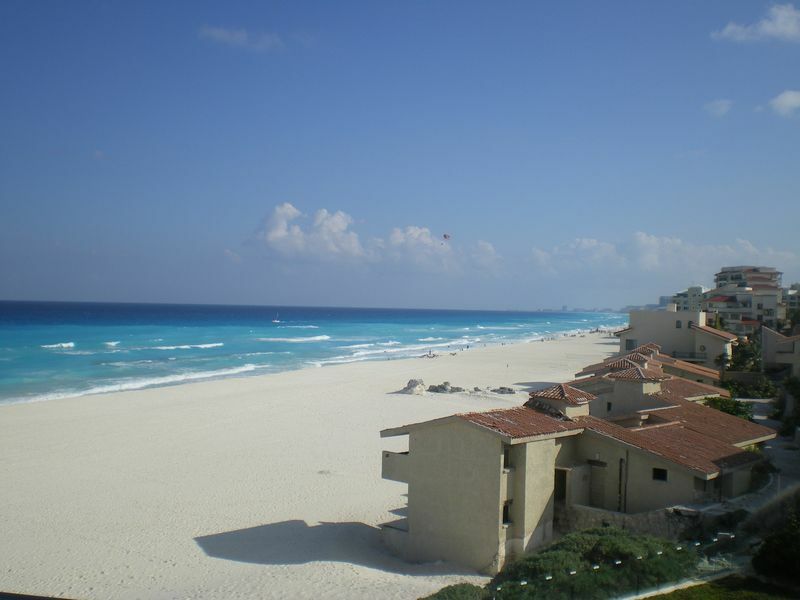 It is located very close to the middle of the hotel zone actually, but exists a world away from what you would traditionally associate with Cancun all-inclusive resorts that often cater to the Spring Break crowd. As you would expect, guest rooms are extremely well appointed and are as functional as they are luxurious featuring private balconies to enjoy the outdoors and 2 person in room jacuzzis to enjoy indoor. Beyond the typical amenities Le Blanc offers unlimited free phone calls back to the US, unlimited internet service, and best of all, $1500 resort credits on a 5-8 night stay (other levels exist for shorter and longer stays) that can be used for spa, room upgrades, wedding packages, swimming with dolphins, tours, golf at Jack Nicklaus Academy of Golf & much more! So can you tell that I liked it? Can you tell that I can’t wait to go back? The smallest of the Secrets brand resorts along the scenic stretch of beach south from Cancun, Mexico known as the Riviera Maya may just be the best. Unless you are looking for more, bigger, mas, grande then Capri really is a great option. With a scant 290 suites (by comparison some other resorts in the neighborhood are 10x larger or more!) Secrets Capri offers a great balance of choice and convenience. It’s not over-the-top fancy like some resorts. There are not 20 choices of room categories. What there is though makes up for it. With 6 restaurants and 5 bars the small property offers much. So how do you know which resort is the best fit for you? What is the best way to research your next vacation? Simple – OUTSOURCE it to your travel consultant (travel agent). A travel agency should be able to insure that you receive the best value (value = price + service), but more importantly your travel consultant should work hard to make sure they understand what it is specifically that most interests you. Your travel consultant should act like your personal shopping concierge understanding what you want to achieve then presenting the best options to save you incredible amounts of time and frustration! Maroma Beach, located about half way between Puerto Morelos and Playa del Carmen, south from Cancun in Mexico’s Yucatan Peninsula is consistently ranked as one of the world’s Top 10 Beaches and for good reason- Clear blue waters, powdery white sands & water sports galore conspire to create a beach lover’s paradise. One of the highly rated adults-only all-inclusive resorts located along this fine stretch of sand is Secrets Maroma Beach. Secrets is the adults-only brand served up by AMResorts (affiliated with Apple Vacations & sister property to Dreams, Zoetry, Now & Sunscape Resorts). 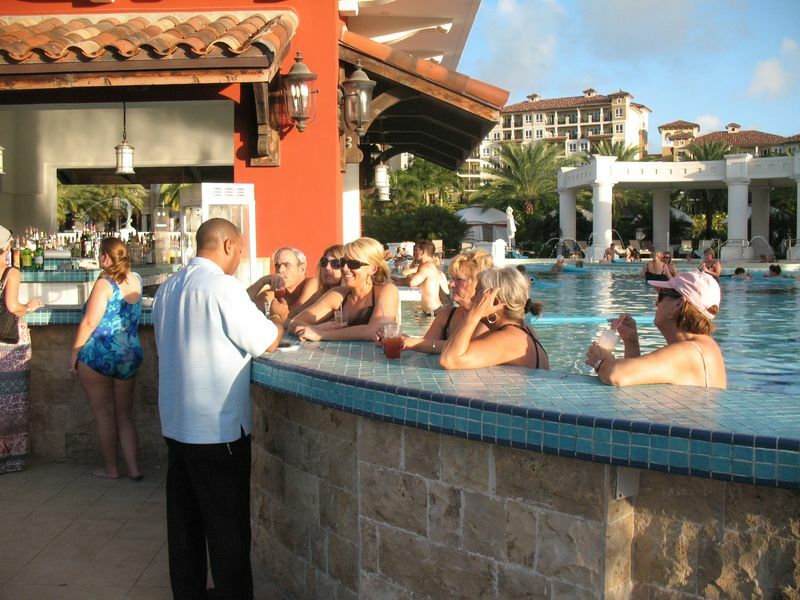 Not every all-inclusive resort offers the same sort of affordable luxury found at Secrets Resorts. 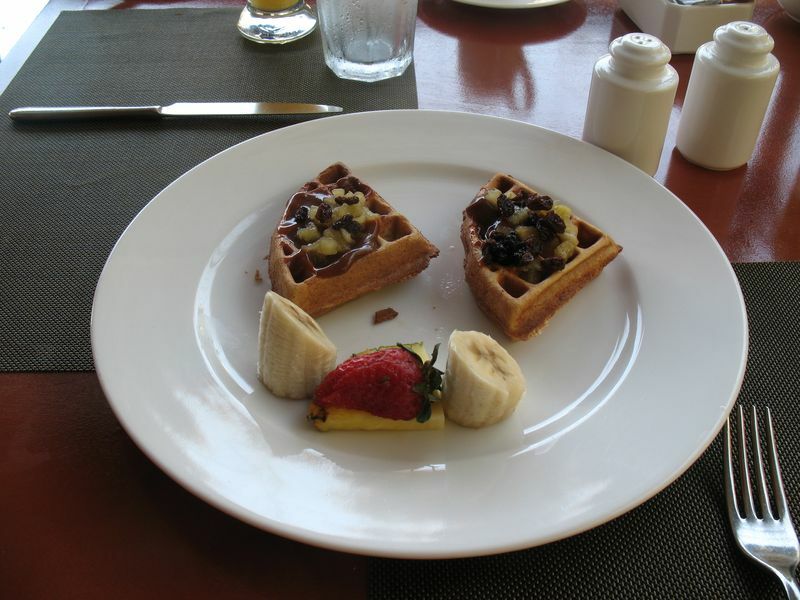 Frequently at all inclusive resorts you find limited selections of restaurants – limited choice in all sorts of food & beverages – limited access to bars and scant choice in restaurants. Spending a week at an all-inclusive resort and feasting at the same boring buffet several days in a row can be a bummer, but with 8 restaurants (most of which are luxurious a la carte options) and 7 bars fully stocked with premium fare you will not feel that your choices are redundant. It’s not all about food & beverages though – and one of the best features at Secrets Resorts are the suites which generally offer in room jacuzzis, after all – this is a romantic escape for 2, right? 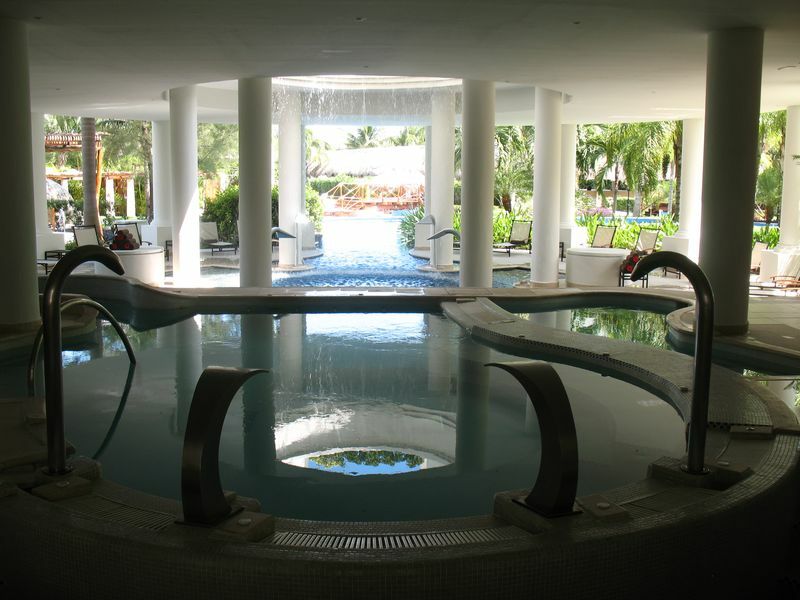 The spa facilities are great – as is the water sports area, common grounds, pool & more. This is a fantastic place for a Honeymoon or Destination Wedding (assuming children will not be attending) also – a huge part of their business! For more info on this and many other resort options in Mexico and throughout the Caribbean get with EZTravelPad – you’ll be glad you did! Trust me, you WILL want to avoid any contact or you could find yourself in a presentation for hours!! I give every EZTravelPad client a suggestion on how best to avoid the time-share people who are located in the airport just past the customs area, but here’s a quick video to illustrate the best way to get past the gauntlet. Remember – just keep walking! !